The LivinRoom Orangery is the latest innovation in glazed extensions, conservatories and glass rooms. Offering the very best of both worlds, LivinRoom gives you all the advantages of light and a feeling of space, coupled with the solid structure of a typical extension. 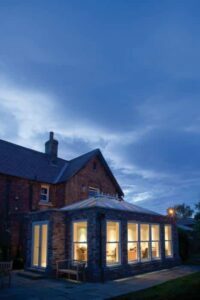 Newlite are experts in the supply and installation of the very latest LivinRoom Orangery. LivinRoom is the modern crossover from a traditional conservatory to a properly built extension. 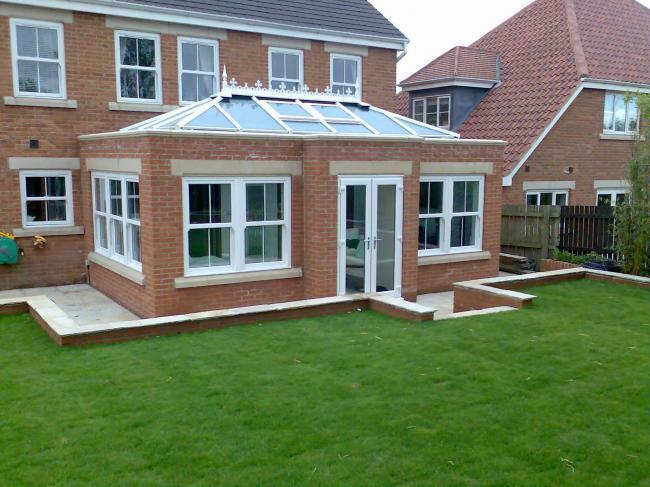 It offers all the advantages of a glazed extension at much less cost. You benefit from a genuine home extension that has many uses and functions. Whether you need a new conservatory or to add to your living space, LivinRoom is perfect. 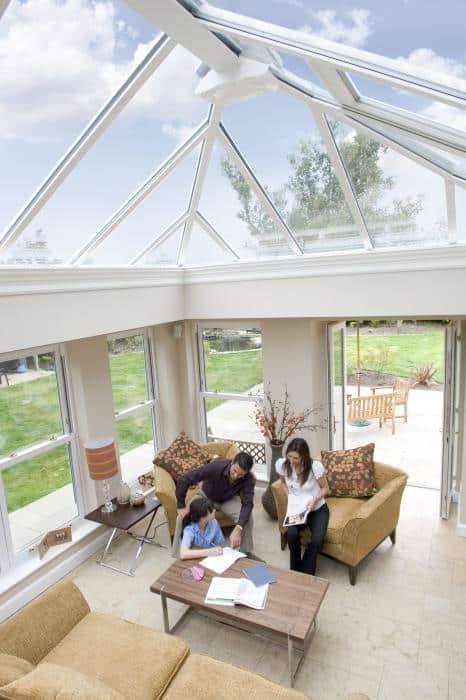 At the core of this advanced product is the Ultraframe roof, from the global leader in conservatory roofs. Advanced roofing materials, windows and glass work with a highly innovative and engineered internal framework. This internal framework is then plastered and finished internally to crate a perimeter ceiling around the roof and to provide strength with a contemporary appearance. You can even personalise your new LivinRoom structure with downlighters, opening vents, speakers and other accessories. Externally you can personalise its appearance with cornicing and cappings to add an individual touch and visual effect.